The feline is alive and in the hands of Animal Services. 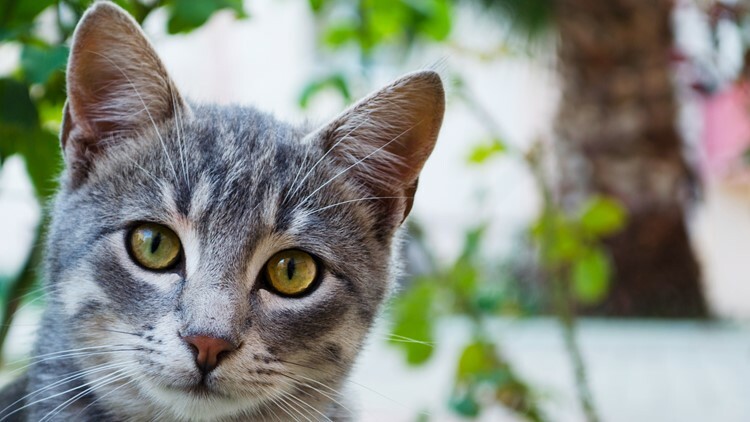 MARION COUNTY, Fla. — Editor's Note: The image above shows a file photo of a cat, not the feline in the story. Florida deputies say they have arrested a 15-year-old boy after a Snapchat video apparently showed him throwing a rock at a cat. The Marion County Sheriff's Office said the boy, who we are not naming because of his age, threw the rock at the 3- to 4-month-old female kitten, causing facial trauma. He is charged with aggravated animal cruelty. Deputies found the cat alive, though it had difficulty walking. The kitten is now in the custody of Marion County Animal Services and is being treated for her injuries. CBS affiliate WKMG reports deputies told them the person in the video is a student at the Silver River Mentoring and Instruction school in Ocala.